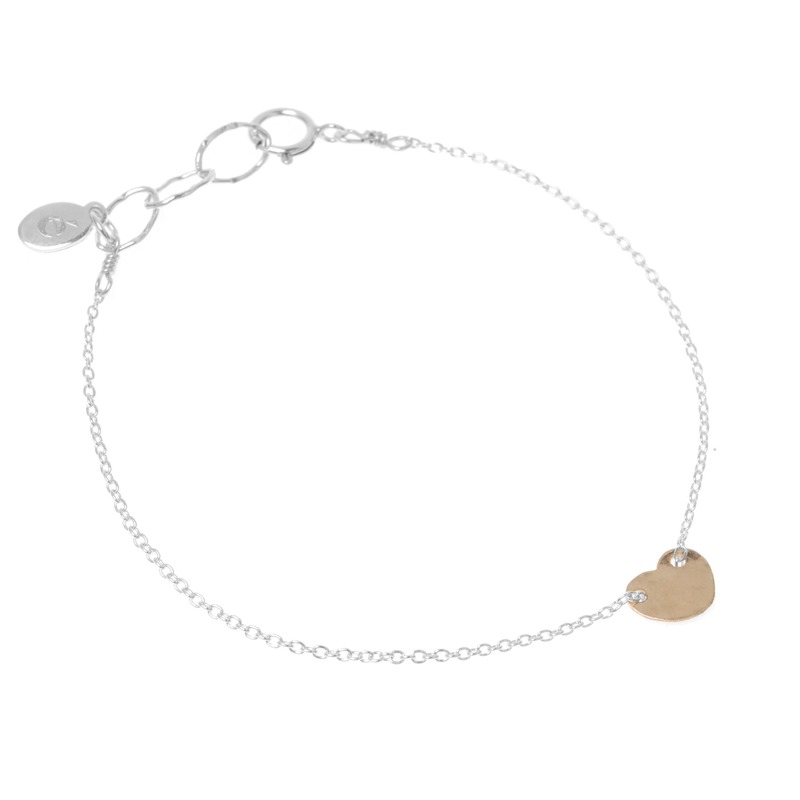 This delicate sterling silver bracelet features a sweet gold heart in the centre. The heart is finished with our radiance texture which catches the light beautifully. Sterling silver & 14k filled gold. Bracelet measures approx 7.25" including 1" extension chain. Heart measures approx 10mm. épanoui in Bedford,, United Kingdom.